Farmhouse Fresh Whoopie Cream Shea Butter Hand Cream is a delicious indulgence for dry, Winter stressed skin. This whipped "Tube Full of Joy" has a light, white velvet cream and moist layer cake scent with a slight, tart edge that keeps it from being cloying. It's delicious! A formula rich in supple butters, Vitamin E, Jojoba and soybean oils is packed into an old fashioned, 2,4 ounce metal tube that is perfect for stashing on a bedside table or in a handbag for take anywhere pampering. 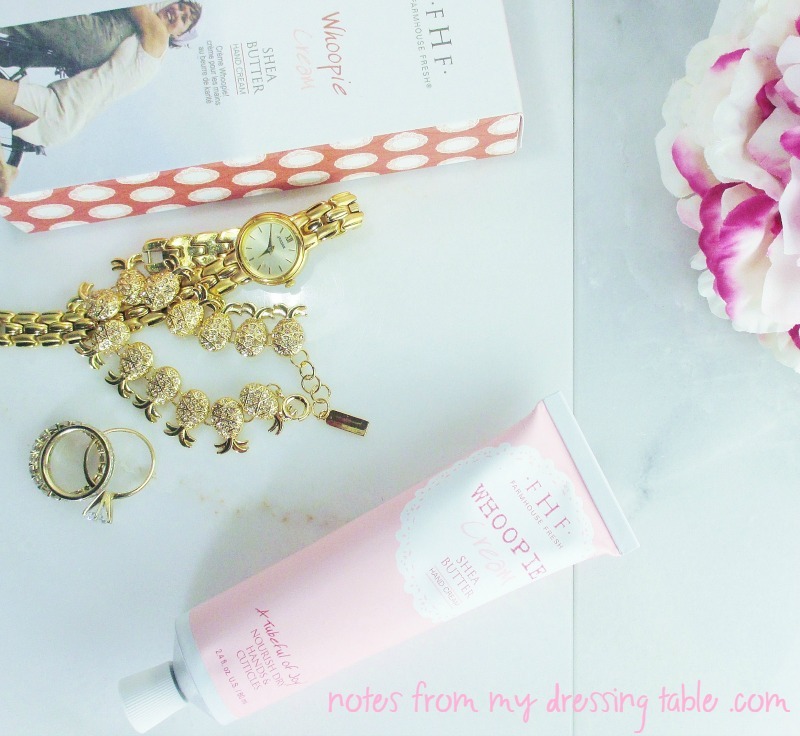 Since I started using this luscious cream, my dehydrated hands feel soft and renewed. My elbows feel like New Things! This cream is a little bit sticky upon application but give it a few minutes and suddenly all I feel is soft, velvety soft skin. I can live with that. Farmhouse Fresh Whoopie Cream Shea Butter Hand Cream is 90% natural, vegan, paraben and sulfate free and is cruelty free. Find Farmhouse Fresh products on the Farmhouse Fresh Website and Amazon. Do you use Farmhouse Fresh products? What are your favorites? What do you recommend I try, next? Enable me... I need more yummy pampering in my life.